The city of Pharr's new research and development center multipurpose building for residents living on the south side of the city officially opened Jan. 11, 2018, in Pharr. 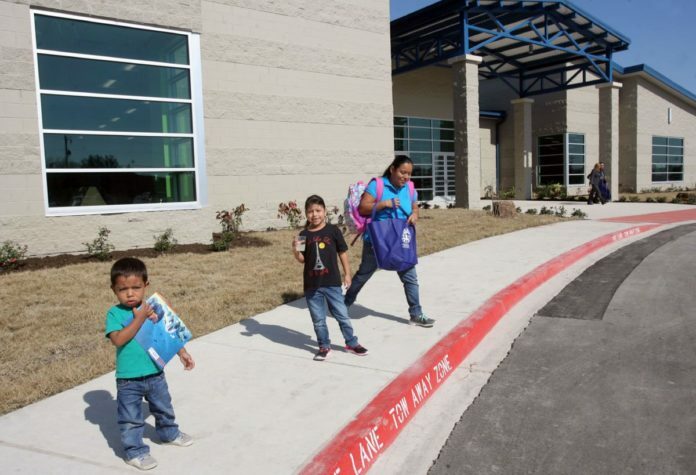 PHARR — City leaders here proudly displayed a new multipurpose facility on the south side of town Thursday that was part of a campaign promise more than two years ago. “A promise made. A promise kept,” Mayor Ambrosio Hernandez said at a ribbon cutting ceremony for the facility called the South Pharr Research and Development Center. The new center will offer something for everyone, commissioners said. The building contains a large hall and a library, as well as additional meeting rooms. City leaders envisioned a facility that can morph to fit the needs of the people. The center will host workforce trainings, career fairs, and will offer a place where residents can use a computer with Wi-Fi access. “It was something that the community needed,” 17-year-old Aaron Anaya said. Anaya, a member of Valley Interfaith, was part of a group of about 350 residents who urged the mayor and two other commissioners to build such a facility while they were campaigning in 2015. At the time, the nonprofit hosted a meeting called an accountability session where they asked those running for office to commit to a list of priorities the members saw fit. One of the requests involved the construction of a library or recreational facility on the south side of Pharr. For the mayor, the requests Valley interfaith made resonated with what he had been learning from others within the community, he said. Pharr partnered with the U.S. Economic Development Administration to leverage city funds. The federal entity gave the city $1.2 million for the project. In 2014, Pharr proposed to build a command center to be used during disasters. It was supposed be built along the border, but the project was nixed due to concerns about security. In 2016, Pharr leaders went back to the drawing board and came up with a plan to build the facility at 850 W. Dicker Road. The facility would serve as a command center during disasters and double as a recreational facility when not in use. In addition to its community-based services, this facility will be utilized as an International Trade Center by the city, with bridge officials using it to host bi-national meetings, officials said. “With our proximity to the border, our international bridge, and the demand for jobs and workforce training, this facility will also serve as a vital resource for our international trade partners in hosting meetings, trainings, and events,” Hernandez said.